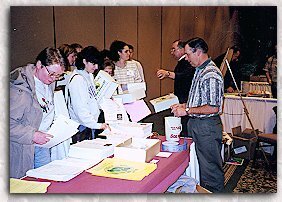 Teachers flocked to the MIC booth to receive a "Mineral Education Kit" at Interface '99. If you are interested in purchasing a "Mineral Education Kit," please contact the MIC office at (573) 635-7308. Matt Coco, J.S. 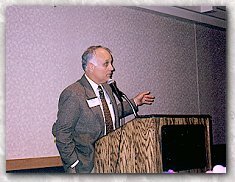 Alberici, highlighted the benefits of being an MIC member. 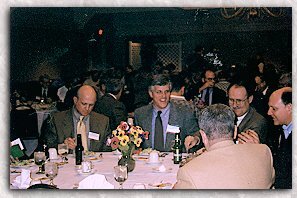 MIC members enjoyed themselves at the 1999 Annual Membership Dinner. 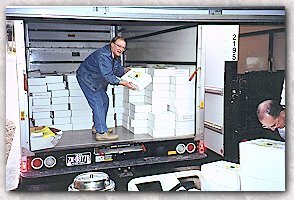 MIC members worked enthusiastically to assemble and deliver over 4,000 "Mineral Education Kits" for Interface '99 teachers. 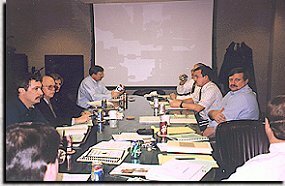 The MIC Board of Directors discussing the importance of mineral education. 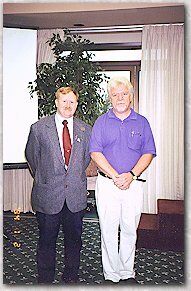 Mr. Herbert Turner and Mr. Jerry Cox, thanked MIC for sponsoring their participation in the Minerals Education Conference. that you may be looking for. Do you need your login information? All Rights Reserved. Copyright © 2002-2010. Privacy Statement.